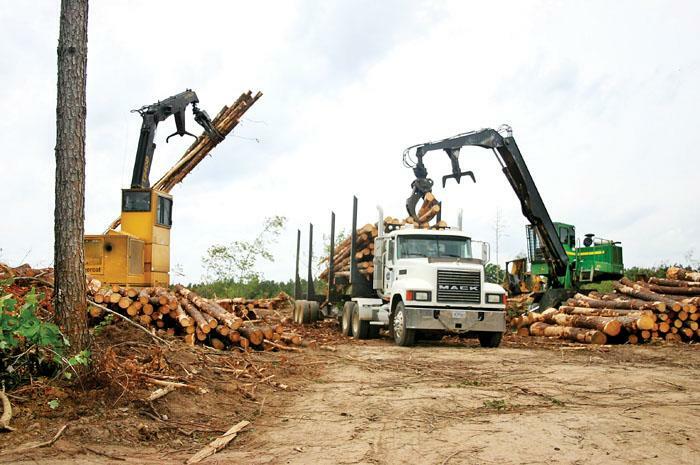 Southern Loggin’ Times’ July issue spotlights Louisiana’s McManus Timber Co., where years of experimentation have allowed the company to evolve a three-loader landing and the use of a dangle-head processor, resulting in higher efficiency and productivity. Also featured is Arkansas’s Sam Gill, a young logger who knows what it takes to make it in the industry, as proven by the success of his company Sam Gill Logging, Inc. Tigercat dealership Forestry 21 is highlighted for its bold move in expansion, with its newest location in Piedmont, Ala., where the company opened with a bang on June 6. 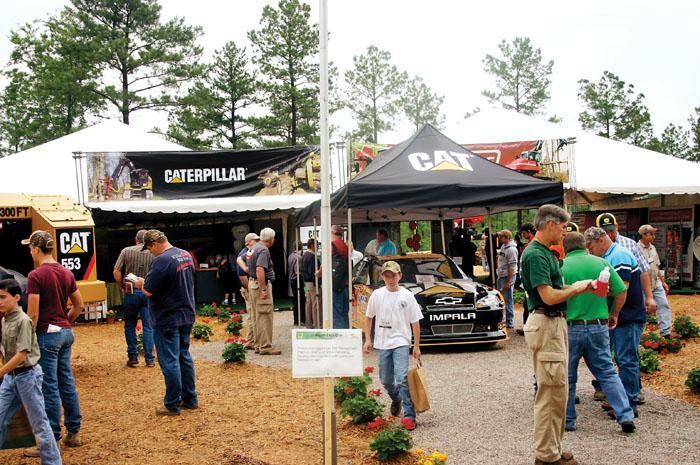 The issue provides coverage of the In-Woods Expo, held May 19-21 near Hot Springs, Ark. with nearly 70 exhibitors. Contract truck driver Jimmie Taylor backs his empty trailer between two loaders at the landing on one of two McManus Timber Co. Inc. (MTC) jobsites. In roughly five minutes, he’s ready to pull up and start trimming out the load. That’s the average time it takes to load one truck, reports owner Tony McManus, who has organized an exceptionally productive and efficient system. A truism is a statement that is so plainly and obviously true that it can almost go without saying or without explanation. It’s all but become a truism in this industry of late that there aren’t a whole lot of young loggers entering the business to fill the void left as the older generation retires or is forced out by market pressures. The reasons for that are myriad and also hardly need be explained. Everyone knows why. Arkansas Timber Producers Assn. (ATPA) and Forest Resources Assn. 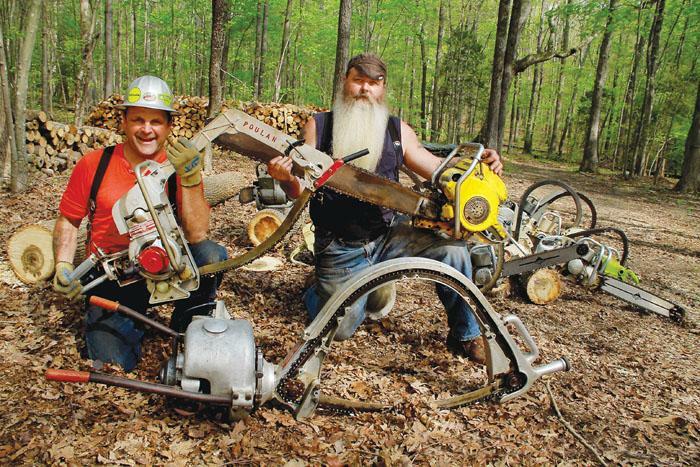 (FRA) joined forces for the third time to co-host In-Woods Expo 2011 May 19-21 near Hot Springs, Ark. Some 70 exhibitors demonstrated or displayed hardware and goods valued by sponsors at approximately $80 million. 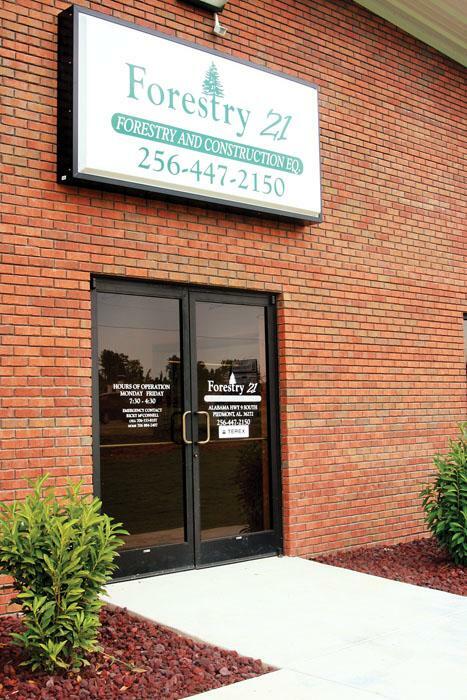 Some might think of it as a bad time to open a new business, but owners of Tigercat dealership Forestry 21 think the time is just right for expansion. Its newest location in Piedmont, Ala. celebrated its grand opening on June 6 with an afternoon gathering that featured music, games, door prizes and a fish fry. 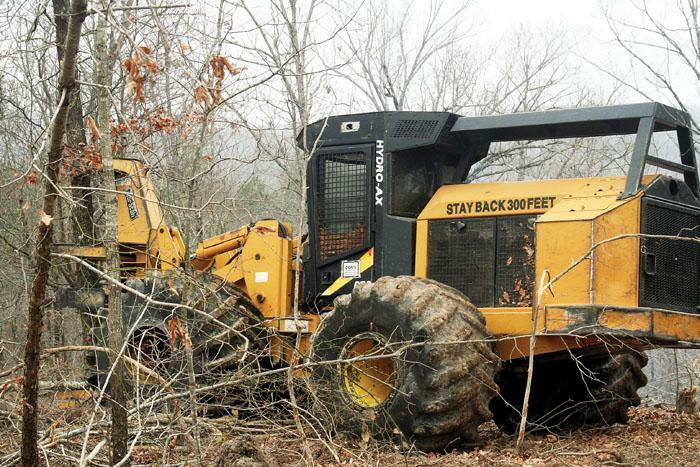 Owner Ricky McConnell estimates that around 150 customers turned out for the event, along with Forestry 21 personnel and Tigercat brass, including owner and chairman Ken MacDonald. Those who frequent the woods appreciates a day’s work done well and the feel of a good tool in their hands—even at times looking back at the fond remembrances of some tools that seemed special. A chain saw is more than just a tool, considering that it forges the will of the user with the ability of the machine. It was well past nightfall on a full-moon night when his headlights shone on the driveway. Bud stepped out of the old Dodge one-ton and limped to the front door of the house that had been his home for nearly 30 years but, thanks to a few bad financial moves, wouldn’t be paid off for another 10. He’d been forced to tap into the equity years earlier to keep the company afloat. The house, like Bud, had seen its better days. One of the windows on the garage door was broken, the air conditioner struggled to cool the place below 80° in the heat of summer, and the whole place needed a paint job. That was just for starters. 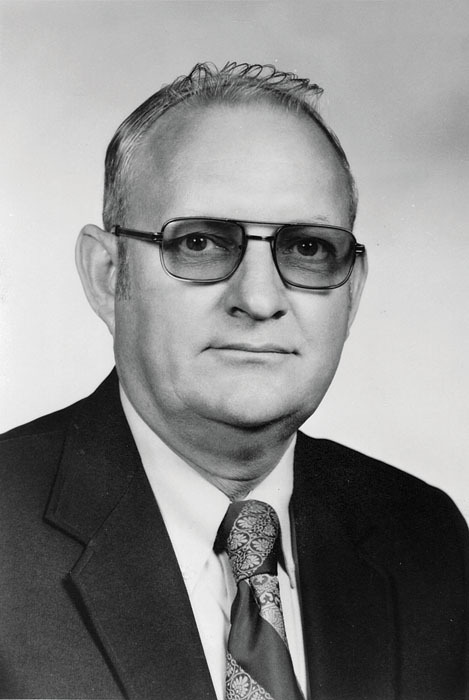 Carl W. Stone assumed the helm of Husky Hydraulics, Inc., Two Harbors, Minn., in 1981 after previously spending 15 years as vice president and general manager of Tidewater Companies’ Manufacturing Div. and as vice president of manufacturing for Franklin Equipment Co. Later, he headed up the Talladega, Ala. Tree Farmer operations for Franklin’s Drake family. Then he took to the road on a Harley. Has anybody in the forestry community seen this man in recent years? He’s probably bearded and tattooed by now. SLT’s editors wonder if he’s still wearing those wing tips. More than 15 exhibitors have booked space in the Mid-Atlantic Logging & Biomass Expo, set for October 7-8 near Selma/Smithfield, NC. Larger companies include Tigercat, John Deere, Caterpillar, Morbark and Bandit, and their state or regional dealers. 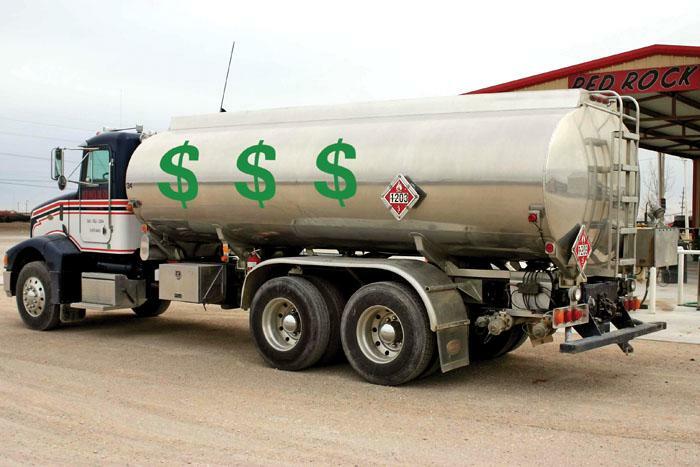 Smaller companies include Olofsfors, Forestry Mutual, GCR Tire Centers, Pinnacle Trailers, Maxi-Load Scales, Stihl, Dyna Products, Multitek, Aftermarket Parts, Pippin Enterprises, Job Ready Services, Richie Brothers, Carolina Machinery Sales and Cleanfix.